Launched game on my iPad and was greeted with this box. Wasn’t actually making a purchase. Wasn’t doing anything except looking at the screen. I’m receiving the same message. What is going on? I think this was the second time it happened to me. The first time, I had no idea how I triggered it. Seems like a rare bug, may not even be related to purchases at all. 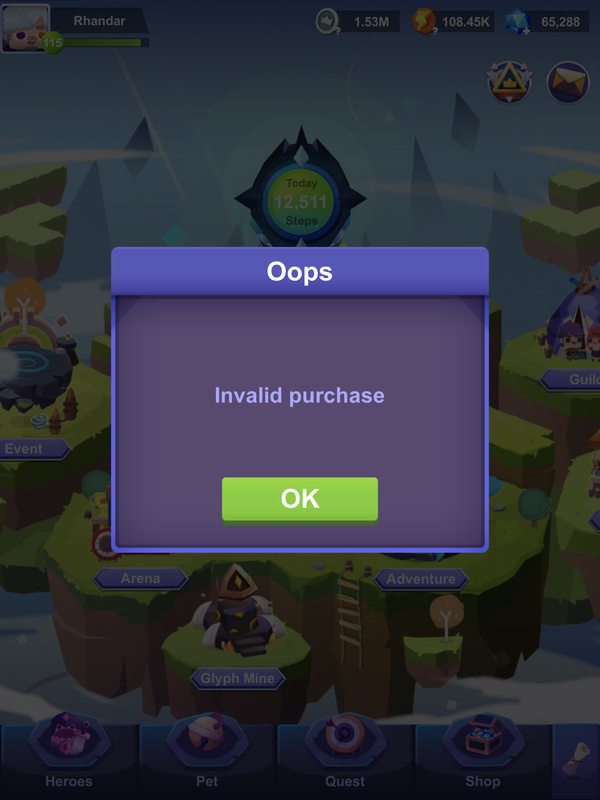 Could be another type of internal error the game tried to report, but failed. Error messages can be tough to test properly, since one hopes to never see them when playing a game. Hard to test something very rarely seen. In any event, could be much worse! Could say, “Valid purchase.” That would definitely freak me out, since I know I wasn’t trying to purchase anything. Hasn’t happened again to me, at least not yet. Definitely seems rare.